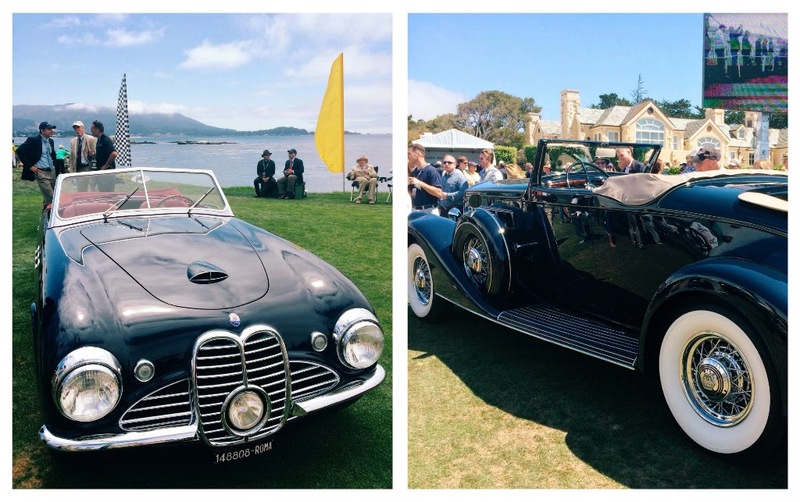 feel good time: pebble beach concours d'elegance. 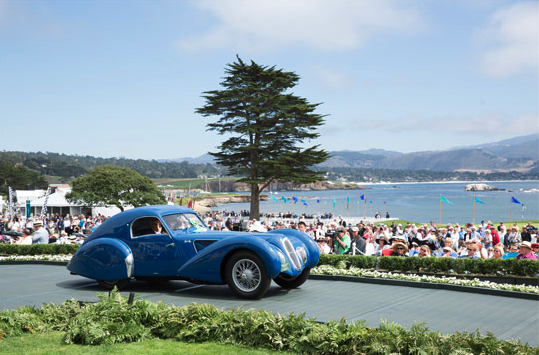 The Pebble Beach Concours d'Elegance, "Where billionaires help out the millionaires," said Jay Leno last sunday in Pebble Beach at the greatest classic car show in the world. And he wasn't kidding. Let me begin by informing you that at a Bonhams Auction that weekend, a Ferrari 250 GTO sold for $38 million. Daddy Warbucks, say what!? It was like the shot heard round the world - news of the bid spread like wildfire, which started the weekend off with excitement. I grew up spending lazy afternoons watching whatever my dad would watch - meaning, the masters, and car auctions. The auctions where mostly my favorite. 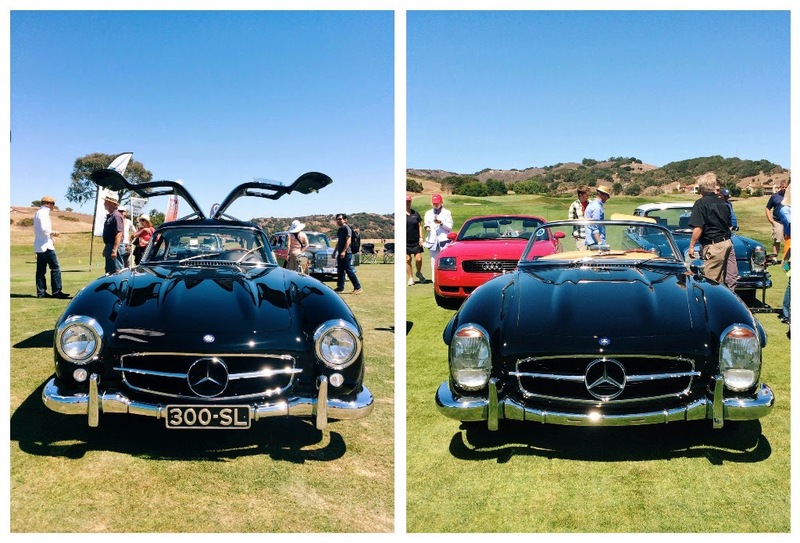 It was then, that I gained a love and interest in classic cars, and anything that my dad is passionate about, sure enough, I am too. He and I are one in the same when it comes to passions. 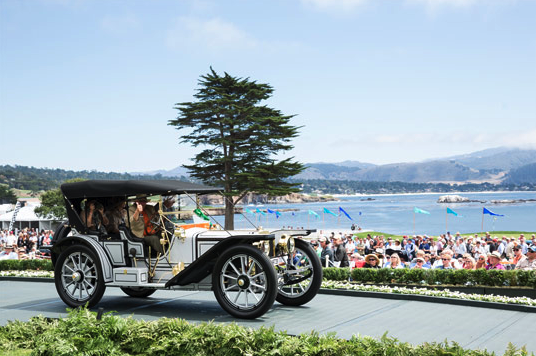 With that said, we'd always talk about the greatest classic car show in the world, 'The Pebble Beach Concours d'Elegance,' and we'd always look up the 'best of show' for each year and just drool over each and every one. We decided to add it to the bucket list - to attend Pebble Beach one year, which is so out of the way seeing as how it was across the country in California and we lived in Georgia. Well, years have past and what do you know, Zeke and I now live in California and so we bit the bullet and planned the beginning of this year to do it. And we did and it was a dream come true. I am just so thankful that my dad and I were able to go together and share that memory with each other. It wouldn't have been as meaningful or the same without him. It was fun to see my dad in his pure element. It was like watching a kid in a toy store. Anything concerning cars is a dream for my dad. I remember when I was little he always talked about wanting a Porsche 911 in midnight blue with a tan leather interior. So for christmas, I bought him that exact car, but in a toy car model. I was so excited to give that to him. I was maybe 7 or 8 at the time and I remember thinking how mature of a christmas gift that was and I was so excited for him to open it. We shared the car - he'd have it on his desk in the study to remind him that some day he'd own the actual car himself, and I used it as the dream car for my dolls to drive around the doll house in (they fit perfectly in the car, it was awesome.) Years down the road, his dream came true and after all those years of saving he brought home his baby, an 87' midnight blue Porsche 911 Cabriolet with a tan leather interior. I moved on from my doll house and got to ride in the real deal. That car has so many memories linked to it. My favorite was having late night drives with my dad and driving through the Crystals drive thru to order some burgers and Coca Cola Slush. Another comical memory for the rest of us in the family minus my dad was when my mom dropped the ladder on the car inside the garage and she was too afraid to say anything so she made my sister break the news to my dad - we look back and laugh but it was a scary moment for my mom and my sisters and I. He still doesn't laugh about it today, and if he does it's a total fake laugh. A couple of years ago my dad was able to seal the deal and crown the car with a classic car license plate - the baby is official. I think it was a proud moment for my dad, which put a smile on my face. 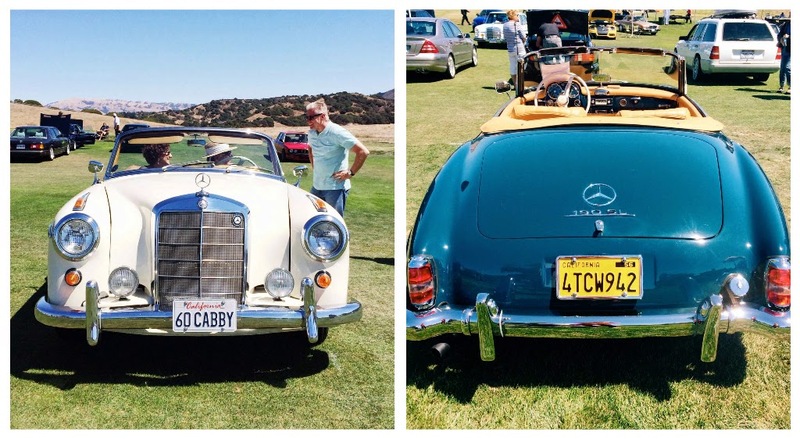 Though to some, cars may be materialistic, for me, they are art, fine art, they are the transportation for memories. Literally and metaphorically speaking, they take you places. They have souls just like you and I and my dad and I appreciate them for that matter. It's not a toy, it's not a show-and-tell, and we don't parade the car around for people to look at us. Strangely, that car is like a member of the family who will be the last one standing and passed down for generations and generations with so many stories to tell. And for me, that's pretty incredible. And so was last weekend. 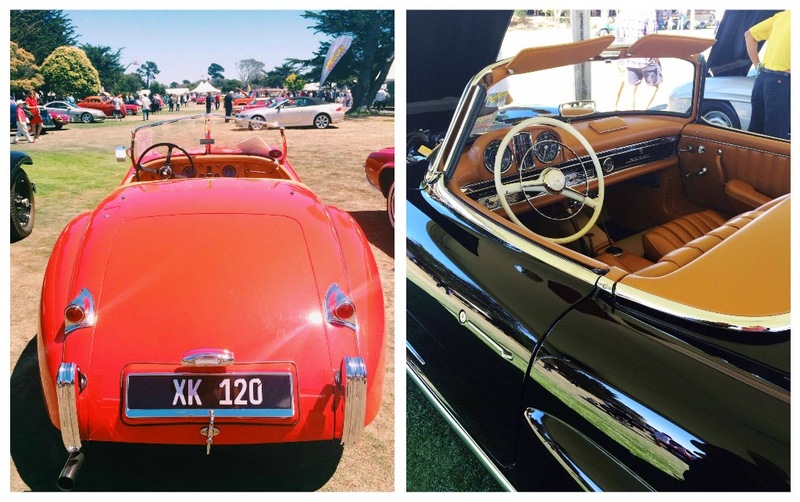 It may have been an event filled with wealth but the people there were filled with passion for cars, and cars that had a story of the past linked to it. There was one car who won 'the most elegant' award and the woman in the car was bawling as she was driving it up the path to except her award. See her emotion, you just knew that the car was extremely special to her, that it had belonged to her father perhaps, and it had become something worth working for and taking care of in the family, because to them it had some significance. I understood that, and it touched me. 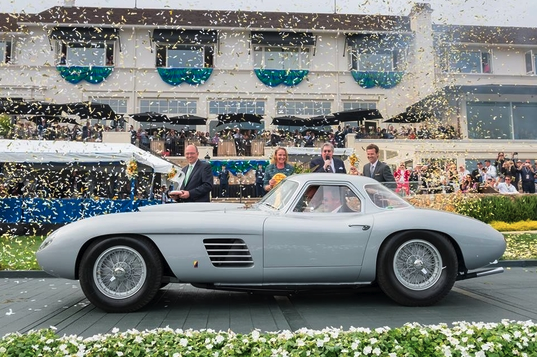 It was the weekend for Ferrari's with one going home to a passionate collector for $38 million and for another who won a title they won't ever forget - the 'Best of Show.' 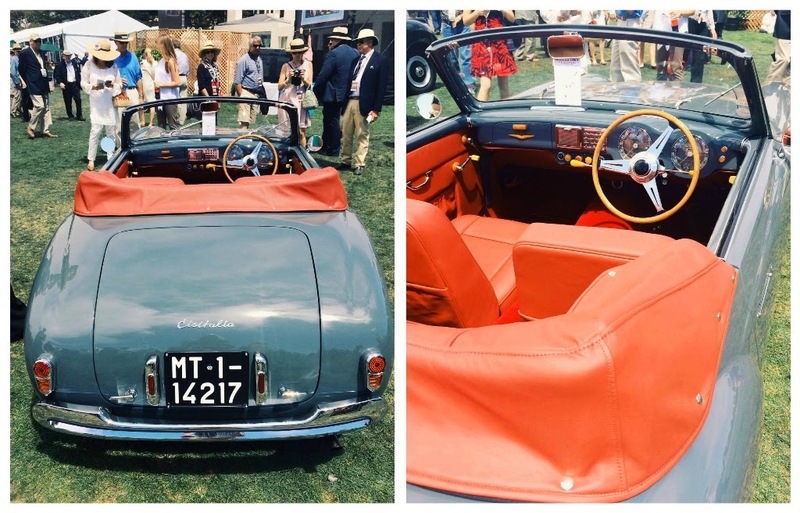 Pictured above, it was a 1954 Ferrari 375 MM Scaglietti Coupe, owned by Jon Shirley. I think that may have been one of the greatest days in his life. The smile on his face was priceless when the winner was announced. The anticipation was perfect and the crowd cheered and applauded with such proudness and admiration. I've got my eye on a particular car that I plan on purchasing far far down the road. 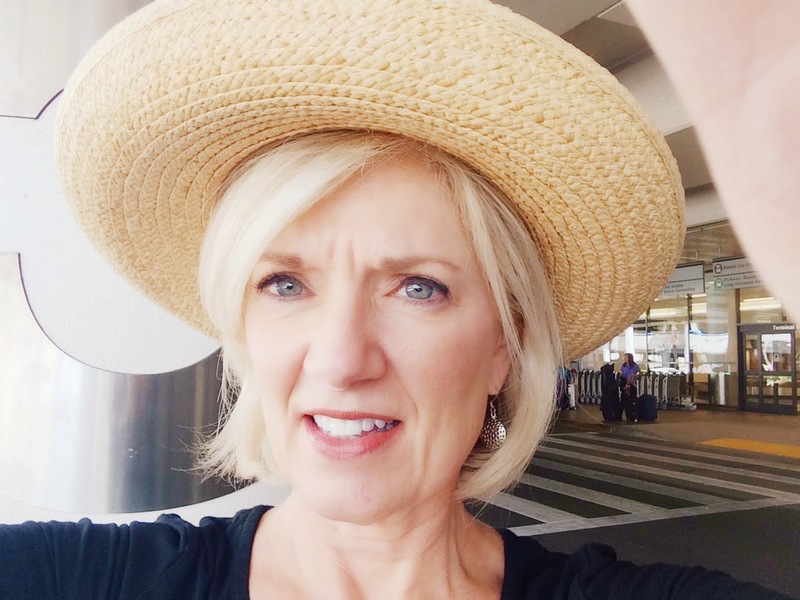 She catches my eye every time and my gasps never grow old. I think my dad could agree with me that she's a real beauty. Until then, I get to have more memories in my dad's dream car he worked so hard for. Can't wait to grab some burgers in that midnight blue with the top down in December with my dad. 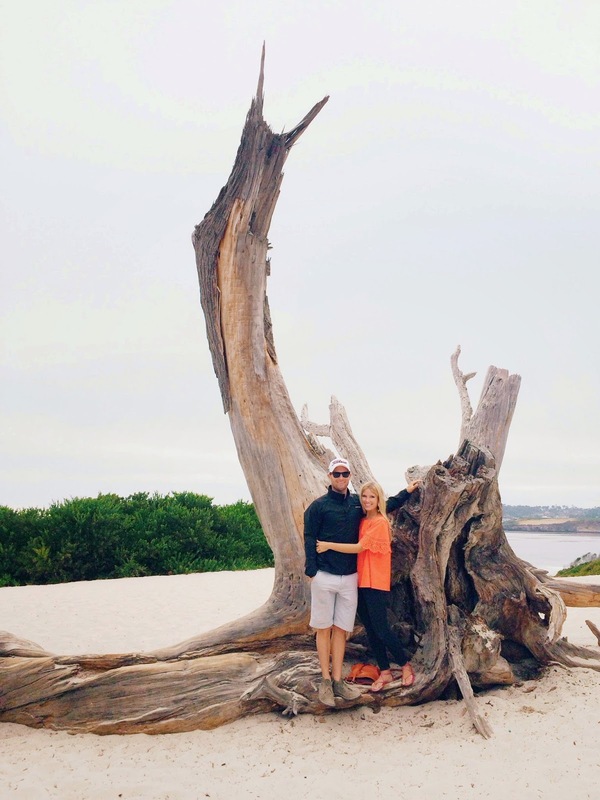 And as for Pebble Beach, we'll see you next year, as I think our bucket list just became a family tradition. What a fun weekend. You are all so cute! EXACTLY! Couldn't have said it better....you described everything perfectly. The Porsche ride will be waiting for you in December!